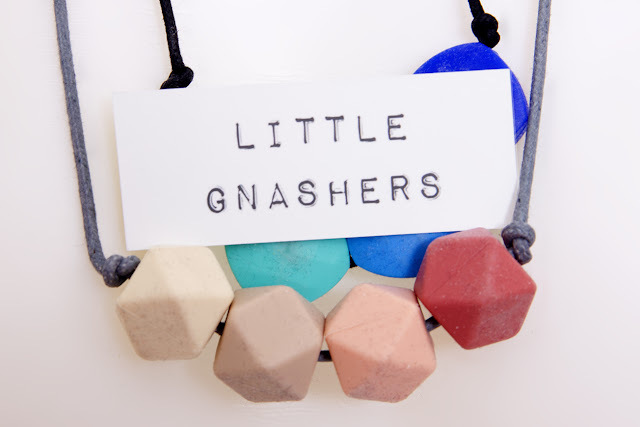 Hand making necklaces with a contemporary aesthetic, Little Gnashers have created the perfect product where fashion and functionality melt together. 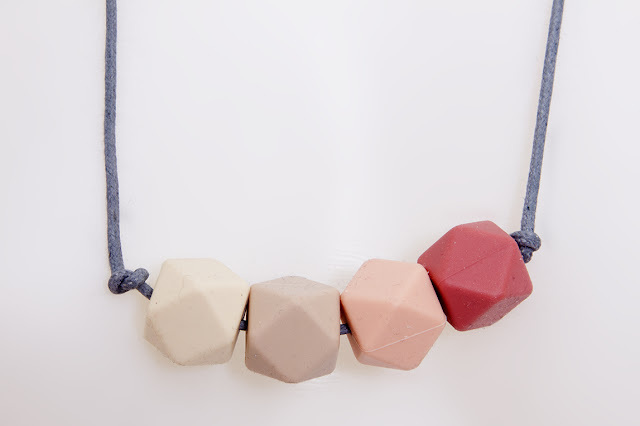 Based in East London, their beautiful, completely customised offerings hold a secret - in addition to being a quick and easy way to spruce up an outfit, the necklaces also double up as a teething product. As someone who is childless but has a strong eye for pretty things, I was keen to snap one up as I loved the shapes and colours available. From a purely fashion point of view, they have a certain coolness to them, a style which is both bold and easy to wear. With a strong emphasis on geometric lines and shapes, the necklaces have the power to make even the most basic t-shirt look suddenly chic. I love anything which I can just throw on without having to think too much, something which I'm sure all mothers can appreciate too. Fashion aside, the necklaces are made from BPA free silicone beads which are completely non toxic, and safe for tiny mouths to chew on. 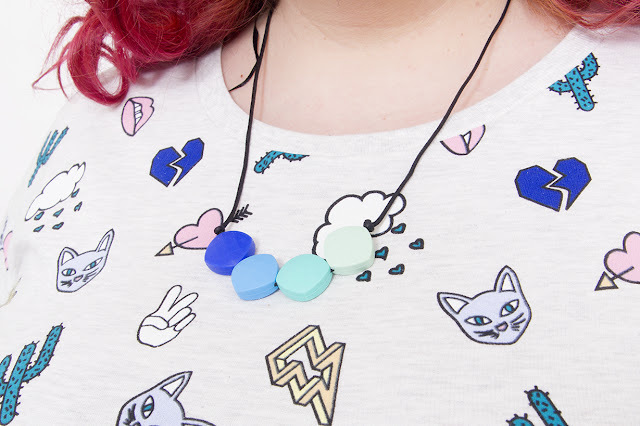 Every necklace has a 'breakaway' clasp attached, so if the baby tugs on it too hard, the clasp simply pops open and can be easily snapped back together. 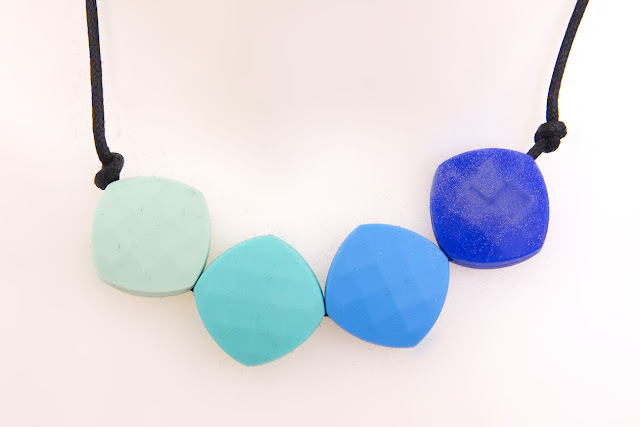 They are also easy to clean, with the necklaces acting just like any other teething produdct. Founded at the end of last year, Little Gnashers allows you to fully customise the necklace, with a huge range of colour and shape options available. 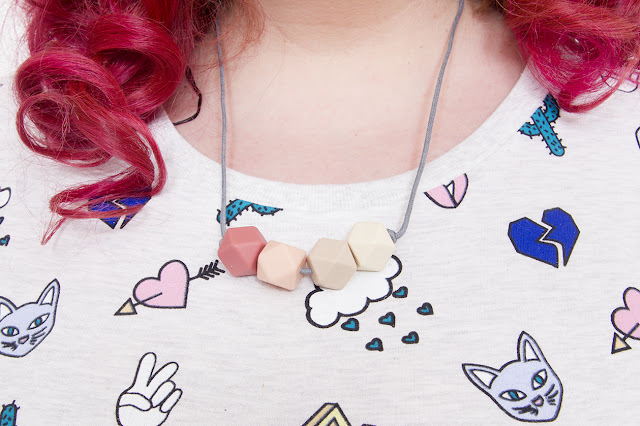 Founder Victoria Dove set up the business whilst on maternity leave, explaining "I made a necklace for myself and started getting compliments from other mums, so I made a few more and I haven't looked back since! The feedback and reaction we're getting on social media has been overwhelming; just because you're a mum it doesn't mean you've lost all sense of personal style - and babies really love chewing them too." 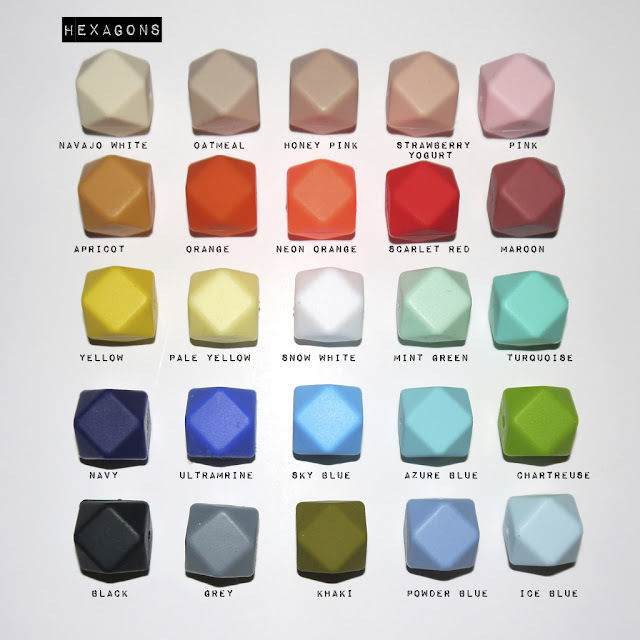 The beads are available as either Hexagons or Quadrates, with a range of wooden teething necklaces coming in hexagon, sphere or circular options for a more natural, Skandi look. In addition to the huge range of colours, you can also pick from either a black or grey cord, with a choice of 75cm or 95cm lengths. Whilst primarily aimed at mothers, the range from Little Gnashers caught my eye purely through a love of fashion. Their not-so-secret super power is amazing for teething tots, but I genuinely feel it is an additional selling point, not the only one. 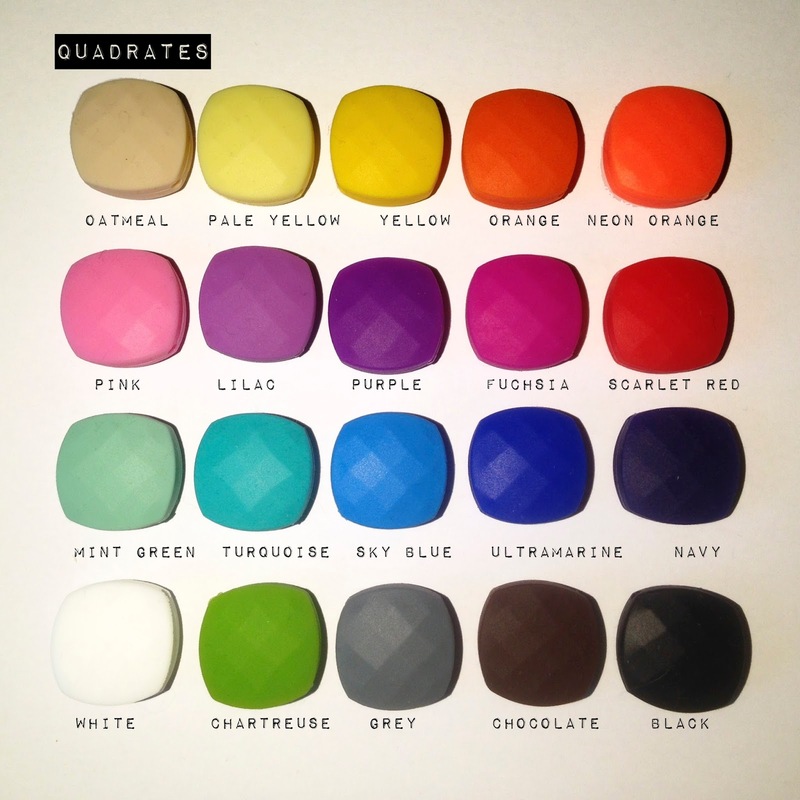 For just £12 you can customise your own (with additional discounts on multiple purchases available in store), and you can view the entire range over at www.littlegnashers.com. If you've got any questions, Victoria is avalable across all the usual social media channels @LittleGnashers. * Items sent for review. All opinions are my own. This is such a great idea! My friend has just had a baby so this might be something she'd be interested in.